Immunocytochemical labeling using PLXNA1 polyclonal antibody in COS-7 cells mock transfected (A) or transfected with Myc-tagged mouse PLXNA1 construct (B). 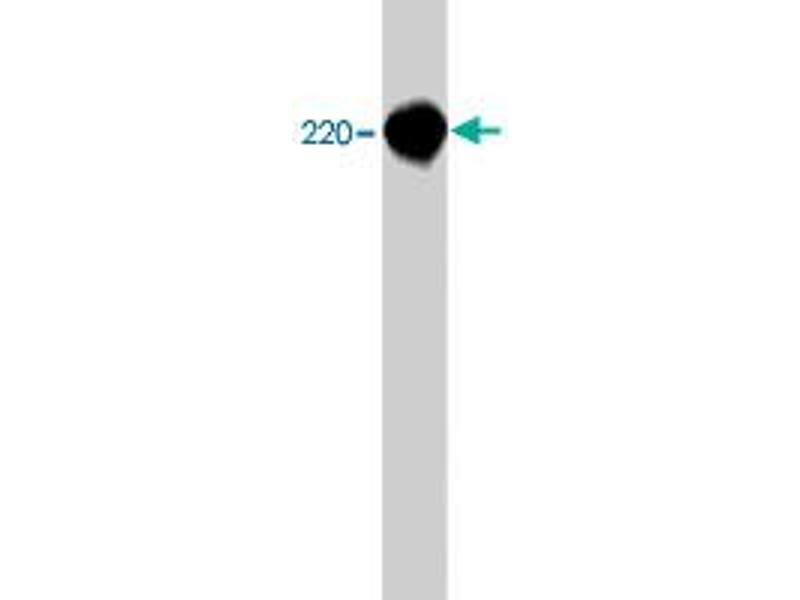 The specificity of the binding in (B) was demonstrated by using PLXNA1 peptide in the presence of PLXNA1 polyclonal antibody (C). Western blots showing neonatal rat brain. The blot was probed with either the affinity purified PLXNA1 polyclonal antibody .